Enjoy priority access while visiting Paris’s most iconic monument, the Eiffel Tower, and enjoy views from the first level to the top floor. With your queue-jumper ticket, they will quickly accompany you to the second level. 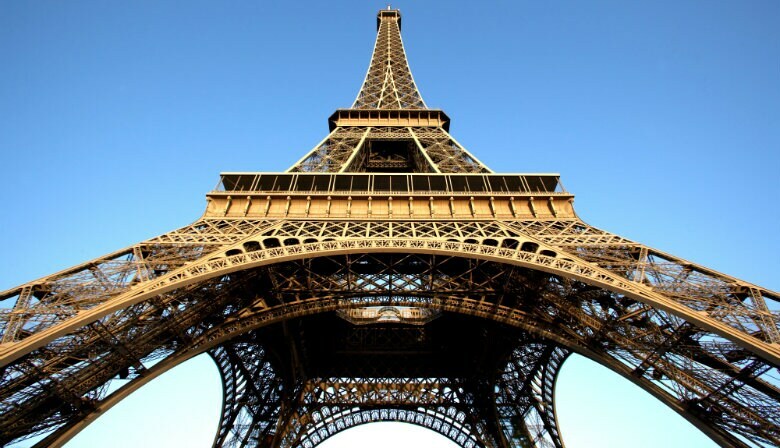 You’ll get to visit this landmark Parisian monument, created for the 1889 World’s Fair by Gustave Eiffel. You will then take an elevator to the summit, located at a height of 377 feet. Take in the stunning view before you, a 360° panorama which allows you to see all of Paris’s landmarks: the Sacré-Cœur on the Butte Montmartre, the Invalides with its golden dome, the Tour Montparnasse, and the Arc de Triomphe overlooking the beautiful Champs-Elysées. Access to the top floor of the Eiffel Tower. In that case, your guide will part company with you on the second level to allow you to go up in your own time. There is no priority access for the visit of the summit. Once there, you will experience unique views of all of Paris, from a height of 905 feet. Apart from the monuments already mentioned, you will also be able to spot other important sites, such as the Louvre, the Musée d’Orsay, La Grande Arche de la Défense and the historic bridges over the Seine. You will be emailed confirmation of your visit, together with an exchange coupon/voucher. Hand it to the meeting point at 36 Avenue de la Bourdonnais 75007 Paris ( PARISCityVISION welcome point ). Due to some unfortunate delays we were not able to make our tour. The tour left on schedule and our guide found the tower LOL! Great fun. Excelente! Remember first stop at the agency to fin the tickets, before go to the Tower! !